Rojas is also co-founder of Pre-Health Dreamers, a group that provides support and encouragement to about 700 Dreamers around the U.S. who aspire to healthcare careers. Her immediate, and practical, concern was how she'd complete her medical training and fulfill her long-term goal to shape healthcare policy in underserved communities. Rojas wanted to go to medical school because she saw how many immigrants were unable to get access to healthcare, particularly from someone who spoke their language and shared their culture. Her family moved to Canada when her mother needed surgery because they couldn't obtain healthcare in the U.S. as undocumented immigrants. In addition to earning her medical degree and probably pursuing a specialty, Rojas is considering getting a master's degree in public policy. 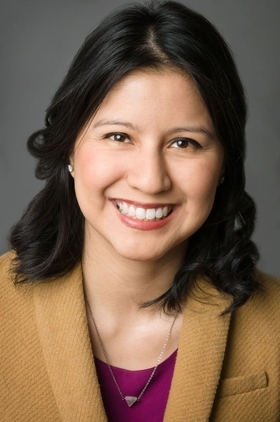 "I'm passionate about health policy and being a provider who is able to give compassionate care and able to form policies, someone on the ground who can impact the healthcare system," Rojas said. "One 'Dreamer' vows to finish med school in the face of DACA chaos" originally appeared in Crain's New York Business.